Amid stiff international competition, Britain is looking to carve out a new global role as a leader in "industries of the future" such as artificial intelligence and driverless cars after it exits the European Union in March 2019. 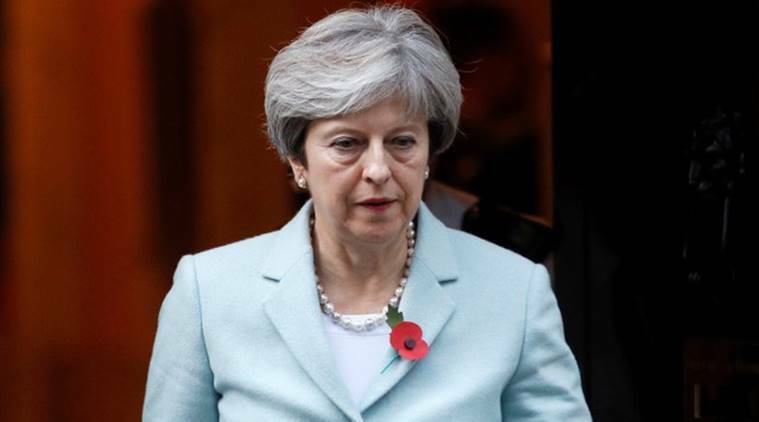 Prime Minister Theresa May on Monday announced 4 billion pounds ($5.28 billion) of spending on research and development and regional growth strategies, setting out plans to help the economy grow after Brexit. Amid stiff international competition, Britain is looking to carve out a new global role as a leader in “industries of the future” such as artificial intelligence and driverless cars after it exits the European Union in March 2019. Badly damaged by a botched snap election and with Brexit talks running behind schedule, May is looking to stir up some economic optimism to help her fragile minority government through Britain’s most uncertain period since World War Two. On Monday, as part of the run-up to finance minister Philip Hammond’s budget on Wednesday, she announced a 1.7 billion pound fund to help regenerate cities and a 2.3 billion pound boost to research and development spending, due in 2021/22. Further details of the funding were not yet available. “This is a new long-term approach to shaping a stronger and fairer economy for decades to come,” May said in a Times newspaper article. The central challenge of Wednesday’s budget will be to improve Britain’s persistently weak productivity, which lags international rivals and is seen as a major limiting factor on economic growth. The new funding is linked to Britain’s “Industrial Strategy” – a push to create more skilled, high-paying jobs that was first announced by May after she took office last year to help fortify Britain’s services-reliant economy against Brexit-related shocks. May has already set a target to increase R&D spending to 2.4 percent of economic output by 2027 – a level in line with Organisation for Economic Cooperation and Development (OECD) averages. The funding announced on Monday would take spending to 12.5 billion in 2021/22, building on an existing commitment to raise public research spending to 12 billion by 2020/21. The transport-focused “Transforming Cities Fund” will try to better link up Britain’s cities in search of productivity improvements and foster greater collaboration and innovation. “This will help make sure people across the country have better options to combine different modes of transport – supporting projects which will improve connectivity, reduce congestion and introduce new mobility services and technology,” said business minister Greg Clark, who is leading the Industrial Strategy initiative. After nearly 18 months of policy formulation, Clark will announce the government’s industrial strategy proposals on Nov. 27.